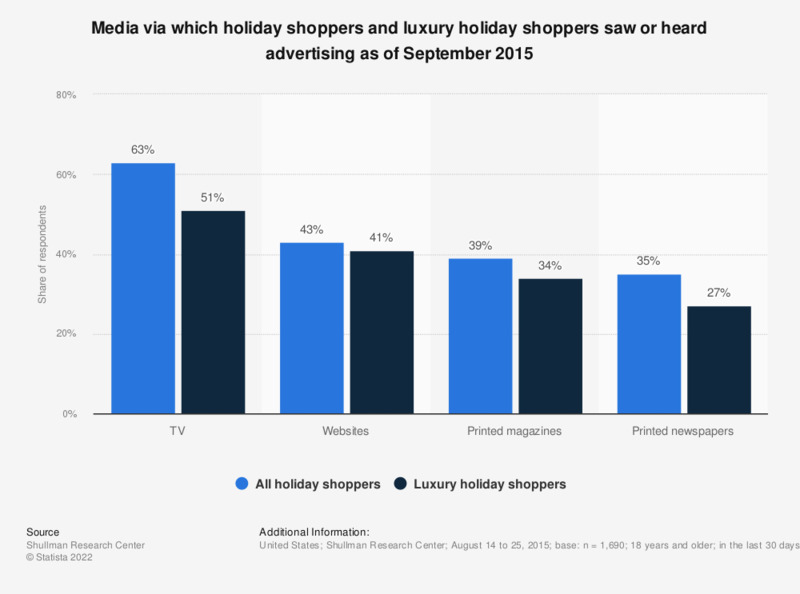 The statistic shows data on the media in which holiday shoppers and luxury holiday shoppers saw or heard advertising as of August 2015. Shullman Research Center found that 34 percent of luxury holiday shoppers recalled seeing advertising in printed newspapers during the 30 days leading up to the survey. The source defines a holiday shopper as somebody who plans to do some holiday shopping and a luxury holiday shoppers as somebody who plans to do holiday shopping and has luxury items on their shopping list. Where did you buy luxury goods over the past 12 months?